LONDON: The data published by the Waste & Resources Action Programme (WRAP) suggests that the usage of single-use plastic bags by super market customers in the UK has gone higher in 2012. According to the WRAP data, as many as 8.1 billion thin-guage (single-use) plastic bags were used in UK, which is 1% higher than the total consumption a year ago. The single-use plastic bag consumption in 2012 totaled 8,077 million when compared to the total consumption of 7,976 million during the previous year. The All-bag consumption (including single-use bag and bags for life) in 2012 totaled 8,485 million when compared to the total consumption of 8,392 million during the previous year. The data shows that the number of bags used in Wales has fallen from 270 million to 70million since the charge came in. In Wales, shoppers need to pay 5p levy on each bag they take from a shop. 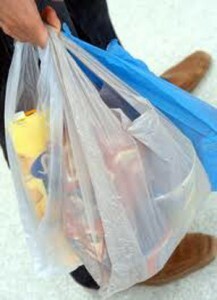 The plastic bag usage by UK, England, Wales, Scotland and Northern Ireland increased 1% – 4% in 2012. The average weight of bags has fallen. As a result, the total weight of bags has fallen despite the increase in the number of bags. In 2012, the total carrier bags weighed 70,400 tonnes, 2.6% lower when compared with the total weight of 72,300 tonnes in 2011.Also, there was a 2.4% increase in virgin polymer used in all carrier bags between 2011 and 2012.